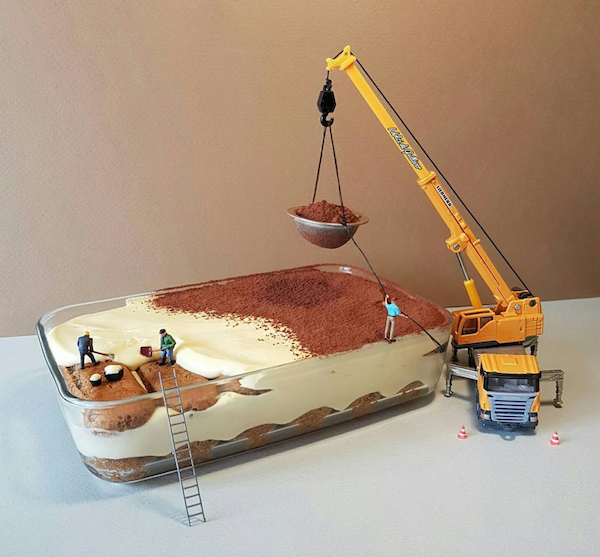 Italian pastry chef Matteo Stucchi uses desserts as a base for his playful miniature scenes. He turns tiramisu into a construction site, chocolate-dipped strawberries into structures, and cake pops into a Ferris wheel. At first glance, his images look like normal dessert, but upon closer inspection, one realizes that there are actually tiny human figurines going about their lives. He posts new whimsical images every Tuesday and Friday on his Instagram page. Click here to view more.